We approached the main gate of Gardaland to the accompaniment of an Italian language version of the Lion King soundtrack, a respectable if somewhat turgid performance that lacked the incipient sprightliness one would expect of a young Simba eager to be king. I found myself comparing what I was hearing to the enthusiastic dance covers of Disney songs piped through the PA system at Terra Mitica two years ago, which I later found on a CD produced by the Spanish reality television series Operación Triunfo. Those with no musical taste can learn more about that here. Our day began with a thirty minute ERS on Sequoia Adventure (#498), the world premiere of the S&S Screaming Squirrel. The layout can best be described as the top layer of a wild mouse turned on its side, comprising sections of flat track on which riders travel both upright and upside down. The idea is novel, but the implementation falls short as adult riders end up with a lot of weight on their shoulders. Many of our group members decided that one ride was enough, and that was probably just as well as the loading speed was pretty slow; today the operators were dispatching a car every fifty seconds or so, giving a best case throughput of around two hundred guests per hour. This might be acceptable for a small park, but it falls far short of what is needed in a large park like this one. I managed two rides, one in front and one in back, and that was more than enough for me. I doubt I'd wait more than ten minutes to ride again. As uncomfortable as the experience was, however, it was nothing compared to the savage beating inflicted upon me by the front car of Magic Mountain (#499), which bounced up and down on the rails in a manner that was almost certainly doing permanent damage to both itself and its hapless passengers. I wasn't expecting a huge amount from a two decade old Vekoma product, but at the same time I wasn't expecting to find myself grimacing with pain while simultaneously exploring my command of invective. The group decided to go back for a second lap, and against my better judgment I decided I'd join them, selecting a seat towards the back of the train. Remarkably this proved far less uncomfortable than the front, though still not something that I felt the need to repeat. For those in the know, are older Vekoma loopers generally more comfortable towards the rear of the train, or was this a once off? Answers su una cartolina please. It was only after disembarking that I realised that it was time for an extremely serious decision. The next coaster for me would be the big five zero zero, and there were only two suboptimal possibilities in Gardaland; a kiddie coaster or an extended model SLC. I briefly considered skipping both in favour of something in the next park on our tour, but that seemed like a tactical error given that either ride might be gone by the next time I was in the area. In the end I decided that the least bad option was Ortobruco Tour (#500), which one of our group members had described as an extremely Big Apple. The ride looked fairly missable from the ground, but it actually turned out to be the best in the park by a huge margin; it featured six lift hills (! ), some fun helices, and a generally interesting layout compensating for its small height differential. I enjoyed the ride so much that I couldn't resist going right back into the queue for a second lap. It was tempting to go directly to the final coaster, as any good credit whores should, but as we were at the opposite end of the park we decided it was worth making a number of stops along the way. Our first hit was La Valle dei Re, an immersive dark ride that opened in 1988. The theming was largely based around ancient Egypt and treasures of the pharaoh, and there was an impressive amount of detail in many of the scenes. The only slight oddity was a vortex tunnel part way through the layout, very reminiscent of the one we saw at Erlebnispark Strasswalchen earlier in the week, though it was done so well and so convincingly that the confusion it generated was quickly forgotten. We followed this up with Il Corsari, a local take on Disney's Pirates of the Caribbean that would not have been out of place in Efteling. Even the entrance was beautifully themed to look like a fully rigged tall ship (albeit one constructed on land). Some of the scenes were truly magnificent, in particular the final room which simulated being underwater complete with fish swimming past. The effect was compromised somewhat by an apparently alive parrot nestling on a perch well below the surface, although perhaps it was intended to be a genetic mutation with gills? We were uncomfortably hot by this stage, and decided to ride the Colorado Boat flume in a valiant attempt to cool down. In pursuit of this aim we strategically put heavier people in the front of our boat, in the hope that so doing would maximise the effect of the two splashes. This didn't quite work as planned; though our sacrificial lamb was drenched in spectacular fashion the rest of us disembarked almost completely dry. Though the ride featured a custom layout it was for the most part forgettable; virtually all of it was surrounded on both sides by greenery, with the only really interesting feature being artificial rockwork around the second lift. Space Vertigo became my second Intamin drop tower of 2005, as well as my first with an enclosure built over the top section of the structure. I'd expected this to contain a pre-show, but it was empty, making its purpose somewhat difficult to fathom; all it appeared to do was obscure the view from the heights. The queue had some interesting theming in it with what I presume were safety instructions in Italian, though I imagine that even native speakers would have had difficulties deciphering these as they were shown on a very fuzzy television, the picture reminiscent of what one might expect to see on a decaying VHS tape. The ride itself was respectable enough, and though I only rode once I'd happily have gone back for more. By this stage we had little choice but to suffer the last coaster in the park, the Blue Tornado (#501). As my second extended SLC I had a fair idea of what to expect, and I am sorry to say that my predictions were entirely accurate. To call this ride awful does an injustice to the word; it should be torn down altogether before it hurts somebody. The tracking was possibly the most uncomfortable I have ever encountered on a SLC, putting even El Condor to shame. I realised on disembarking the dreadful reality; of the four coasters at Gardaland, only one of them was something I would make an effort to return for, and that was the one aimed at children. We wound up in the front row of the Fuga da Atlantide flume, largely because all of the people in front of us in the queue made for the middle and back of the boat. On riding, we quickly discovered why they had done so; the ride is for the most part dry other than for those up front, who get totally drenched. We had aimed to cool down a bit, though when we disembarked we might as well have dived straight into a swimming pool. For the geek files, incidentally, the credit counters have an interesting problem in judging whether this ride is in fact a coaster. The lift hills use a cable lift system, and the track on the turnarounds is the standard box style seen on all modern Intamin-built coasters. However, the rest of the ride is flume trough, so for me at least this is most definitely a log flume. As we were already soaked it seemed like a good time to try the Jungle Rapids ride. This turned out to be an exceptionally tame example of the breed, with almost no splashing at all. Given the weather conditions, we actually were less wet getting off the ride then when we started. The ten minute walk over to the park restaurant for lunch, carefully rerouted to stay in the sunshine, finished the job. We had been provided with lunch vouchers, something very welcome given the expenditure earlier in the week. These entitled us to a substantial three course meal, though with some oddities (French Fries or Peas, but not both for some reason!). Desert made up for the inevitable decision on the above, it being a delicious fresh fruit salad, filled with many tropical delicacies which cannot be easily sourced fresh back home in Ireland. Up until this stage of the day, the rides (coasters not withstanding) had all ranged between Average and Outstanding. The first active disappointment was the Spectacular 4D Adventure theatre. In hindsight, the word spectacular in the name should have been a giveaway; if a park has to refer to an attraction with a positive adjective it is probably not a good sign. The longest wait of the day so far led into a motion base theatre with 3D glasses, this one showing the movie "Robots of Mars", which quite frankly did nothing for me whatsoever. Even if I had been able to follow the dialogue I doubt it would have been any better; the motion base was jerky and fitted with a single position lap bar for the whole row which, to be frank, was simply too tight for comfort. We joined the queue for the Canyons ride, a slow track-driven journey throw a short and uninteresting outdoor area and an even shorter indoor area, the latter of which had some basic theming but nothing overly exciting. The half an hour wait for it added insult to injury; if we had known what we were waiting for it is improbable any of us would have bothered. Slightly better was the Tunga boat ride, which journeyed through a forested area filled with animatronic creatures of all descriptions. The inevitable jibes not withstanding, Oh look! It's Andy Hine!, the journey proved to be a chance to relax for a few minutes while not standing up. There were enough people in the boat for me to take some group photographs, and I passed the camera to the other end of the boat so they could be taken in both directions. Based on recommendations from other club members we decided to check out the Magic House, a haunted swing attraction. I cannot put my finger on why some of these are better than others; they are all, after all, the same ride. Nevertheless, this one was definitely one of the better models. The ride was, if anything, improved by the reaction of the riders; it was evident that many of those on board had never seen a ride like this, and it took them a while to figure out what the ride actually did. The final ride we had time for was the Flying Island, which I went on mainly for photography. This is only the second such ride I have seen anywhere, the other being at Efteling. They are rare, presumably due to the space required by the lift mechanism, with the majority of parks opting for considerably more compact observation towers. Up until this point in the day I had been enjoying myself. It is true that there was nothing particularly outstanding in the park, but I'd managed to have fun anyway. This came to a screeching halt on the way back to the coach, when I stopped in a shop to attempt to purchase a drink. To accomplish this feat, I followed the same procedure I would in any other shop anywhere else in the world, namely I removed a drink from the cabinet by the wall (which had no door and was, I assumed, for open access), and attempted to walk it to the cash register. I was practically attacked by a staff member, who proceeded to accuse me, loudly, of theft. This crazy italian, who evidently spoke no English, created quite an embarrassing scene. I eventually determined that one was expected to pay first and then bring a receipt back to the shop, where a staff member would remove the item from the cabinet for you. However, the staff member who explained this was so rude that I decided the park had received enough of my money, and bought a water on the bus instead. 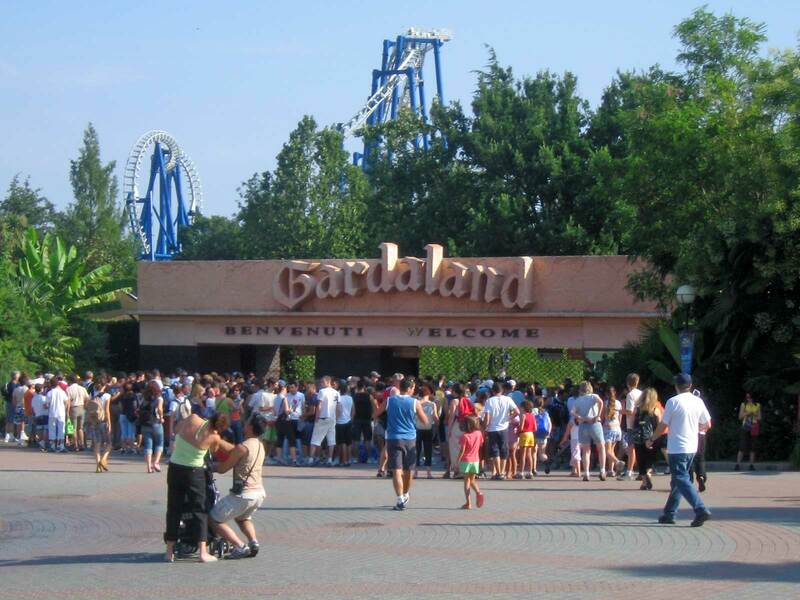 Theme parks are tourist traps, and one has to assume that a not insignificant proportion of the guests at Gardaland speak no Italian. It seems reasonable to me that I could not be the only person not aware of this odd system of drinks purchase, and there was definitely no signage in English indicating how things should work. The correct way to handle the situation would have been for the staff member to tap me on the shoulder and explain what was expected, rather than yell to the surroundings that this innocent tourist was attempting to steal a drink, worth about one euro fifty. This whole event put a total damper on my day and, as I write this, has made it a real challenge for me to contemplate even the good portions of the park in a positive light. It turned out that my experience was not the only serious customer service failing encountered by the club in our visit. One of our members, who suffers from autism, was refused entry to almost all of the rides in the park. He is fully mobile, and has a full time carer escorting him around. He does not require assistance to board rides. There is almost nothing in the known universe that he won't get on, and he had ridden equivalents of every attraction in Gardaland in other places. This was, it seemed, irrelevant; the ride operators just looked at him and refused him entry, almost across the board. Apparently nobody with a disability was allowed on the vast majority of attractions, regardless as to whether they were physically able for them or not. This sort of treatment is illegal in many countries, for example the United States (Americans with Disabilities Act). It was also rendered all the more ridiculous by the fact that he was allowed on Sequoia Adventure during our ERS, apparently because the boss was in the station at the time. Surely if it was so dangerous for him to ride, then allowing him on arguably the most aggressive ride in the park was an incredible risk? The impression I have taken away from Gardaland is of a park with good dark rides, mediocre water rides, awful coasters, and Dickensian customer service. 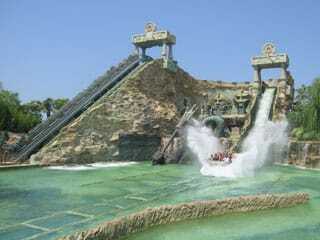 It is somewhere that, with a moderate investment and staff training, could be a top ten park. Right now, it's closer to a bottom ten one. No doubt I'll be back some day, but I can't say I'm looking forward to it.